Differences cooking with wood, gas electric and charcoal? What are the differences between cooking with wood, gas electric and charcoal? It is difficult to discuss the differences between the fuel sources for cooking barbecue without discussing the different types of smokers. We have broken it down to six areas that we believe are necessary without going into the various types of smokers. 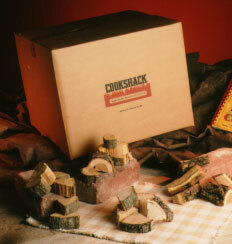 Cookshack electric smokers use small amounts of wood chunks or pellets to produce the flavor you desire in the finished product. The units are designed to move only the smallest amount of air through them while maintaining the temperature with electronic controls and keeping the heat inside the unit with 850° Spin-Glass® insulation. Due to this design Cookshack electric smokers are economical to use costing just a few cents a day to operate. 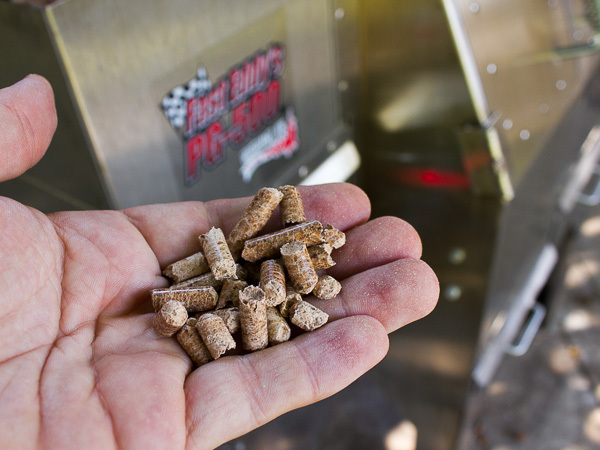 Fast Eddy™ by Cookshack pellet smokers use compressed sawdust pellets for both the heat and the smoke flavor for your product. The units are designed with 850° Spin-Glas® insulation and electronic controls to be as energy efficient as possible. Fast Eddy™by Cookshack pellet fired smokers use forced air draft and pellet feed technology to maintain tight temperatures. Because of this design it costs around $15 per day to run a our pellet fired smokers. Gas smokers have a variety of designs, because of the air required to maintain the fire in them, they typically move large amounts of air through them causing the burner to work harder to maintain the temperature. Along with needing fireplace sized logs to produce smoke to flavor the product, gas smokers cost more to operate than one would assume. The gas to operate a gas smoker will cost around $6 per day; wood costs vary greatly across the country; the average gas smoker is going to use eight fireplace logs per day. Making the average cost to operate around $12 per day. Wood pits were the traditional way to cook barbeque for years. However, the high cost of wood and labor has caused most restaurants to move away from the traditional wood fired pits. Charcoal smokers are much like wood fired pits, the high cost of charcoal and the labor to maintain the temperature in charcoal smokers has caused most restaurants to move away from charcoal style pits. Shrinkage is caused mostly by inconsistent temperatures. Cookshack smokers use state of the art electronic controllers to maintain a consistent temperature. Gas fired smokers generally have rotisseries in them to help the meat to cook evenly; however if you look at the actual temperatures in the units they are typically not consistent. Also, gas tends to dry the air in the smoker causing higher shrinkage rates. Wood and charcoal fired smokers typically have the worse shrinkage rate due to the difficulties of maintaining consistent temperatures. Cookshack smokers make it easy to produce the same flavor each time you cook in the unit. Gas smokers tend to be very inconsistent in their flavor profile as the amount of wood and how dry it is changes with virtually every cook. This along with the taste of the mercaptan that is used in gas to make it smell like rotten eggs makes most barbecue experts stay away from gas smokers. Charcoal smokers has a milder smoke flavor than wood fired smokers, and the flavor can vary from cook to cook. Wood fired pits for years were the standard for barbecue restaurants; however the flavor out of wood fired pits varies considerably depending on the logs you are burning and the weather. Electric smokers use small amounts of wood, so ash disposal is simple. The drippings exit out the bottom of the smoker making the risk of fire virtually none existent. Cookshack electric smokers are tested under the UL 197 standard for electric safety and NSF standard for food safety. Pellet fired smokers make disposal ash disposal easy as ash can be taken directly out of the smoker and into the trash. Fast Eddy™ by Cookshack pellet smokers are tested to UL subject 263, and Warnock-Hershey standards for safety along with NSF for food safety. Most gas smokers on the market are only tested for the safety of using gas in the units and are not approved for using wood. The high amount of live embers in the ash makes disposing of the ash difficult and a fire hazard. Most wood and charcoal smokers are custom designed and have no safety listings. Like the gas fired smokers live embers in the ash makes disposing of the ash difficult and a fire hazard. Also, wood and charcoal smokers flues must be maintained properly, or the risk of fire is probable. Any smoker listed by NSF will be easy to clean. Cookshack smokers also make disposing of ash easy. Most custom design smokers are not NSF listed and can be difficult to clean. Electric and pellet fired smokers offer the best consistency on the market. The Cookshack IQ control system allows you to control the time and temperature you cook at while maintaining accurate temperatures. Gas smokers tend to be easy to control the temperature, however most do not have the controls necessary to keep even temperatures throughout the cooking chamber. Wood and Charcoal smokers have little automatic controls, which means that the operator has to be there to keep the temperature steady. This entry was posted in FAQs and tagged cooking on October 1, 2014 by admin.